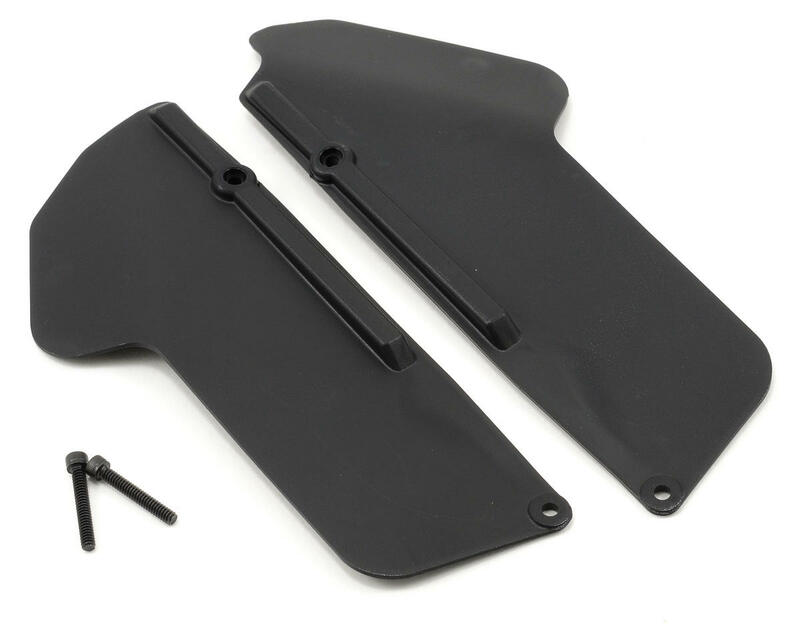 This is a set of optional DE Racing Buggy Mud Guards, and are intended for use with the Losi 8ight-T 2.0 Truggy. 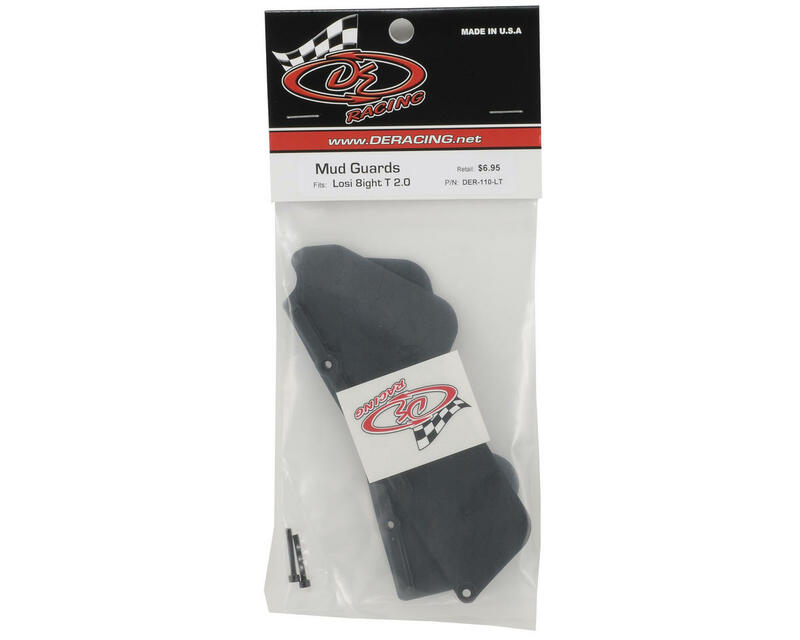 These mud guards are engineered to be direct installation parts, with no additional body trimming or added holes to the suspension arms required. They install in minutes and will protect the rear suspension and drive train components from damage or contamination from rocks, dirt or mud. Proudly designed and manufactured in the U.S.A. from scuff resistant plastic, these mud guards will withstand much more abuse than a thin lexan, or carbon fiber plate and are the latest must have item for your Losi 8ight-T 2.0 Truggy. These fit perfect and work great. They really keeps the mud off of your drivetrain and suspension linkages. They, however, slightly rub the body in the rear, not much though. Just curious. What do you need to be carefull of? Great gaurds. Really protects the chassis, and it looks super cool if you stick a nice decal on them. Very gook add on. Also fits perfectly. No trimming. over tightening the screw that leads to the sway bar linkage because it will cut threw -//- These are great looking guards but be careful when reinstalling the sway bar linkage screw.